A beautiful thin layer of fresh snow covered the quaint and “Rockwellian” village of Homer, NY on an early Spring evening. 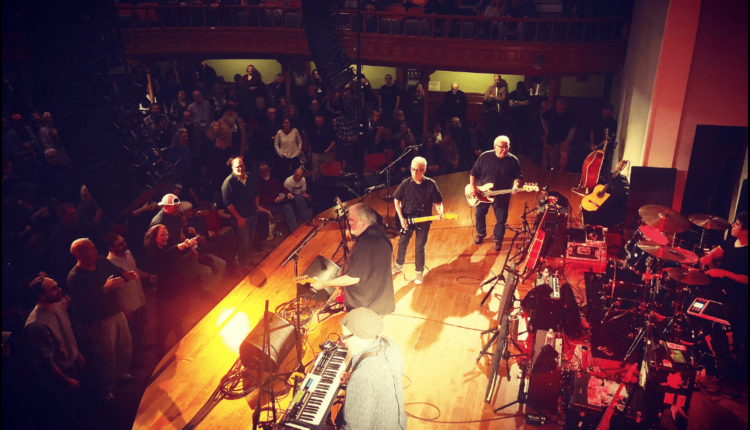 That did not keep anyone away from the sold out Los Lobos show at the Center for The Arts of Homer on Sunday. Many traveled from Syracuse, Ithaca, Cortland and many other villages and towns throughout Central New York to enjoy this remarkable venue. The night began with an acoustic trio; members of the band sang traditional Mexican folk songs. Their energy could barely be contained and their joy was palpable throughout the entire room. As the set progressed saxophone, keys and finally drums were added. After another traditional number dedicated to “our brothers and sisters in Puerto Rico,” the band sizzled up through the set break, closing with the first and only English language song of set one. 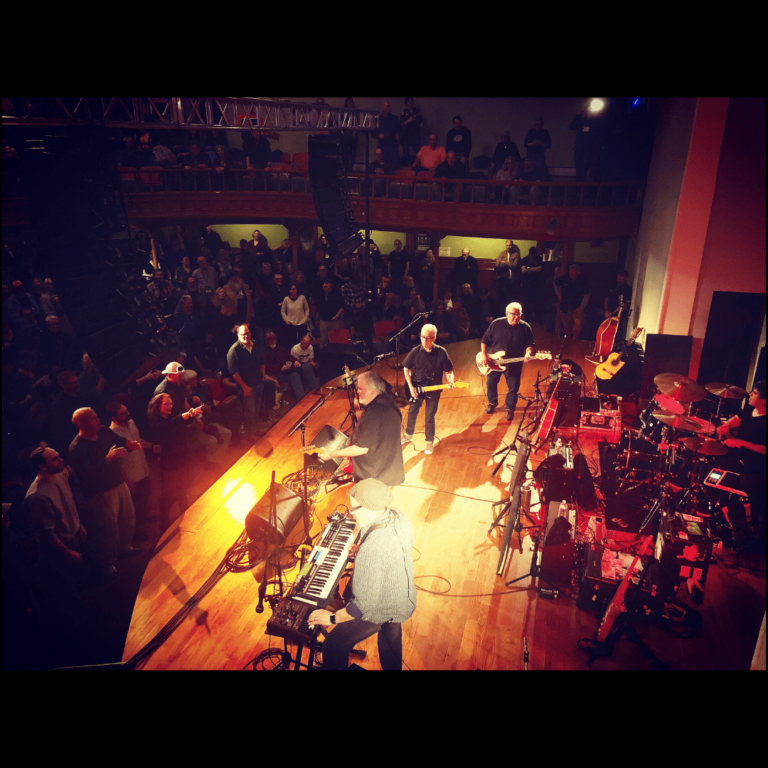 The sound was swelling through the renovated church and many in the audience took to the aisles to dance. 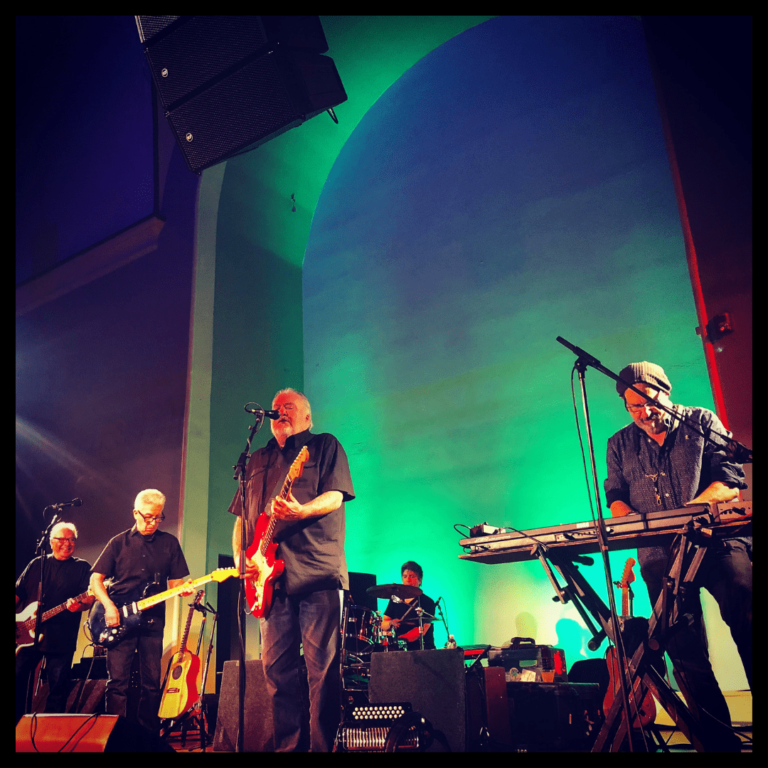 After a brief intermission, Los Lobos continued to rock the stage, covering tunes from their catalog that spans 46 years. The instrumentation was driven by the percussion and very strong back line which allowed for other members to take turns on smoking hot guitar leads, swinging accordion melodies, runs on the keys and saxophone solos that often times reminded the audience of the driving rock of the band Morphine. One could almost taste the history and blend of blues, rock, Mexican rhythms and feel the looseness and ease in how the band crafted each song together. It was a masterclass, played in an incredible room. It is such a rarity in this day and age to find an audience in the moment. Center for The Arts of Homer can thank their fans for creating a listening room experience, so important for the enjoyment of the fans and players alike. The great volunteer staff made everyone feel at home and the venue experience as a whole was warm and welcoming. No matter if you were on the ground floor or balcony, there is truly not a bad seat. The sound was mixed very well and captured the richness and quality of the band that can best be described as a heartwarming experience.